She opened the window slowly. Her fingers ached a lot now that the weather was changing. The rain was about to come. The wind had already changed. She gazed the mountain, like she did every day. Kilimanjaro always calmed her in the mornings. This giant with “the white hair”, as she called the glaciers on the top, made her feel safe. She put on her kanga and she opened the door that separated her house from her store. Actually, it divided two big rooms in two, of which the larger one had a view to the dirt road and served as a shop and the other served as a bedroom with two big trunks for her clothes and things. 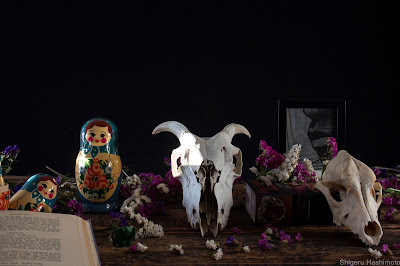 In these two rooms she had spent all her life, just outside Moshi, at the foothills of the big mountain, where the dense forest began. She sold traditional colorful kanga and she always kept small boxes with pieces of ancient tree barks in a drawer, for whomever might ask for. She would not take money from them because she knew that they needed them to sooth the pain. Travelers who wanted to climb the mountain usually bought her merchandise and she always had some coffee ready to share with them and communicate with them with the few words in English that she had learned. They came from distant places such as Europe and America, from countries that she could not pronounce. She was born on the bed where she was now sleeping and, even though she never went outside her village, she was famous and people came from all parts of Africa to see her, to touch her and to talk to her. 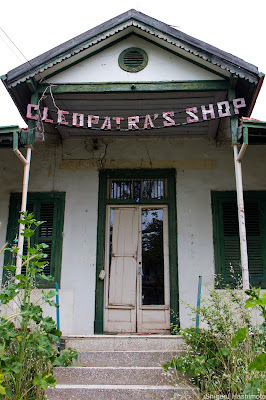 She made her coffee and turned on the lights of the shop and the sign: “Cleopatra’s shop”. Her name was Bashma but everyone called her Cleopatra ever since she could remember. She almost did not recognize her name anymore. Her mother called her like that when she was too young. “Cleopatra bathed in milk so that she could have a fine white skin. Bashma, you were born like that. You are a new Cleopatra, charismatic like her and don’t let anyone think otherwise”, she used to tell her. But still, she was a girl with snow-white skin, hair and eyelids in the middle of Africa. Of course, she had to face the strangers’ curious ways of looking at her. Of course a girl with albinism always gathered the looks and the whispers. She was the only girl in her village and that had given her a lead role, in contrast with the other villages nearby where there were more boys and girls with albinism. As much as she tried to deal with her mother’s words, she knew that she was so different. 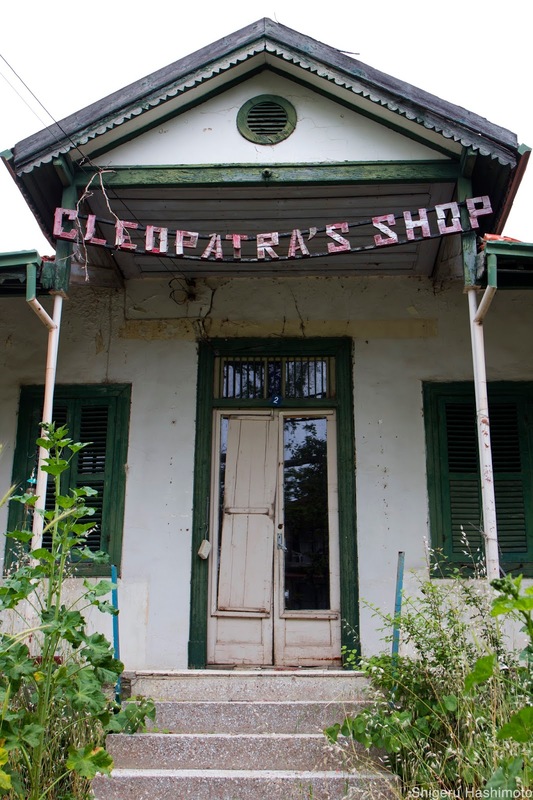 Everyone started calling her Cleopatra and she gradually lost her own identity. She became the girl who covered her arms and eyes because she was sensitive to light as she grew older. She was used to names such as “ghost” or “whitewash” from children who always use a harsh language. For everyone else she was the “white Cleopatra”. They would visit her at the store, which her father ran, when she was still too young. It was considered good luck to touch her. Many parents with sick kids would come and kiss her hands so that their children would be healed. Farmers anxious for their crops, especially for the coffee trees, gently caressed her white hair. Οr women who wanted to have a child, simply put her hand on their bellies. She would dutifully accept their touch and hear all about their problems. She had accepted her role and she would not say anything to disappoint them because they were hanging on her beneficial effect. However, times were changing. She could feel it like she could sense the rain when it was about to come. People no longer looked at her the same way. She had heard what was going on in the nearby villages and it was only a matter of time before they reached her door. Albinos still brought good luck but a touch was not enough. Bewitchers with their gangs had gone on the offensive. They would hunt down albino children, preferably, and butcher them to use their parts, even their bones, in their rituals and potions. Kidnappings and mutilated bodies behind the bushes were now an everyday phenomenon. They would not only pick children of course and there was always a willing neighbor to reveal, for a fee of course, the hiding places of those who were trying to hide their children or themselves. Bashma was 57 years old but her weak body was worth several thousands dollars. Each part of her would be sold for a lot of money. Because it was snow-white. Because it was special. Because the witch hunt knew no borders. And just as the wind had changed, people’s minds had also changed. She knew that one night they would break down her door and they would massacre her. She had thought of running away but she changed her mind. Here was her home and no one could make her leave using violence. Anyway, her health was very fragile and she could never make it. Her home was Africa and she could not be safe in any part of it. And so, every day, she would open the window, see Kilimanjaro and then she would go to the next room with her coffee and spend another “normal” day in her shop with the fear of the night and the threats that go along with it. The first visitors were turning on her path with the map in their hand. Another regular day had begun.